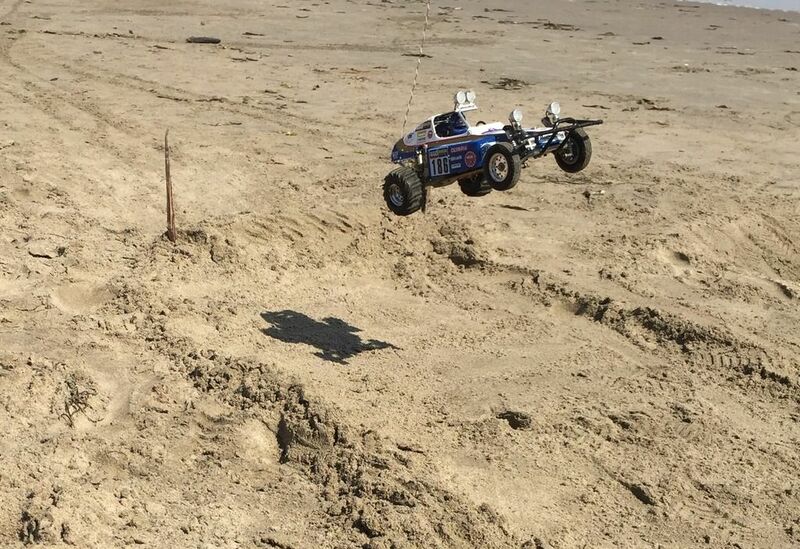 Hey guys, I’m sure this must have been done before, but what is your favourite RC machine that you own? 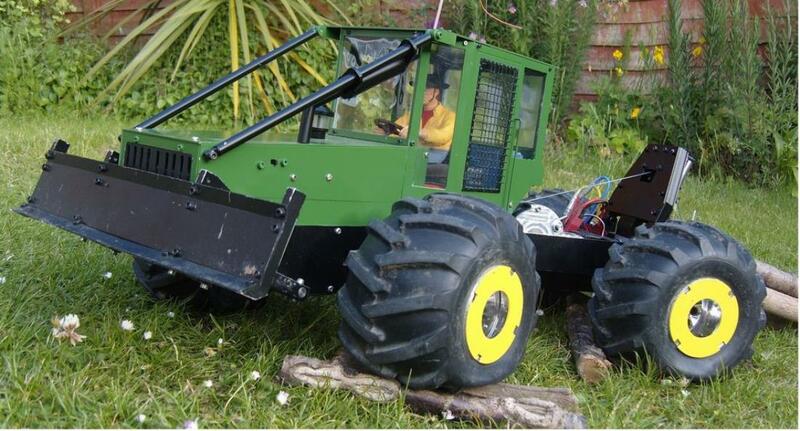 Could be a monster truck, buggy, road car, tank, plane and indeed, whatever floats your ‘boat’? : ) Pics would be good to see too! My favourite, due to childhood nostalgia and just the overall coolness of the thing is my Monster Beetle - just a 2015 re-re but the closest I could get to the original I had as a kid! 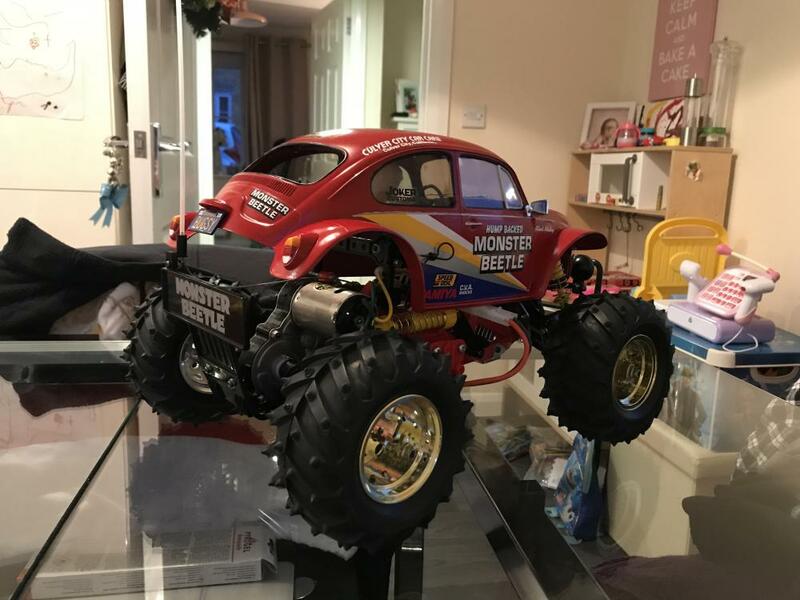 Love the monster beetle I missed out on ebay last night one that had the MIP diff too! 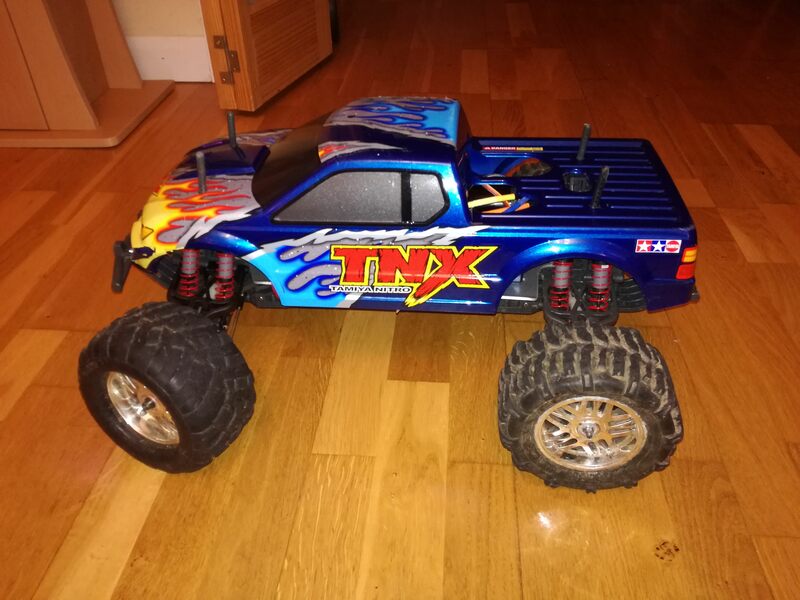 I know I keep banging on about it but my current favourite is my TNX brushless conversion the chassis is old and out of date but It was my first major project and it went really well. This is my favourite at the moment. Brought me back to the hobby after a 5 year layoff. Schweeeeeeeetttt!!! Looks like a lot of fun!!! My favorite? The next one. 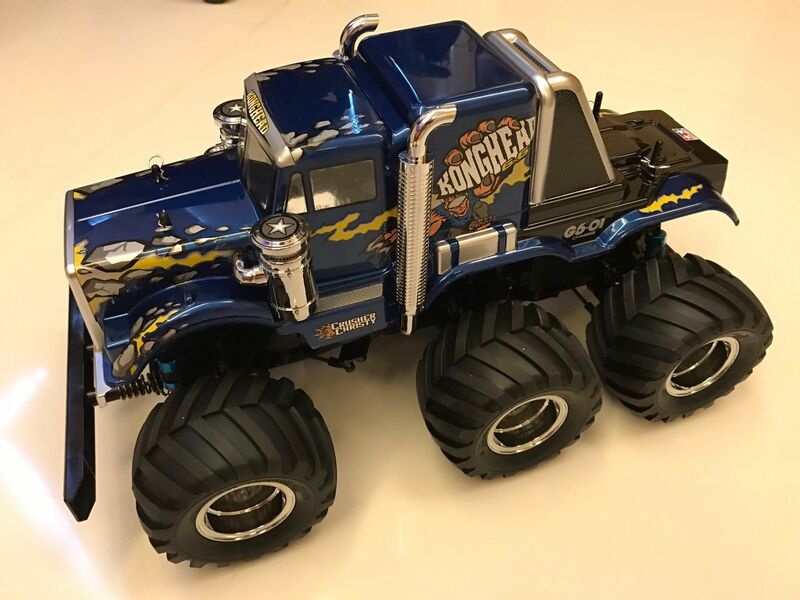 Hate to say it....but it's the HPI Wheely King, But as far as Tamiya goes my favorite racing platform is the 211XMW and Favorite basher is anything ORV. My FF03 Renault Laguna BTCC. Runs great for a FWD chassis. The Unimog is the one that sucked me back into this hobby 5 years ago. The Fuzzbox is the one I'm most proud of. But the Pumpkin is my original one from 1989 and the only one I'll never get rid of. But the Pumpkin is my original one from 1989 and the only one I'll never get rid of. I feel the same way about mine. It's the one that got me back into the hobby in 2004. I've re-done the body as it was originally intended. Took me 12 years to find another set of these decals. These are the first two photos I've posted of it since it was finished last year. 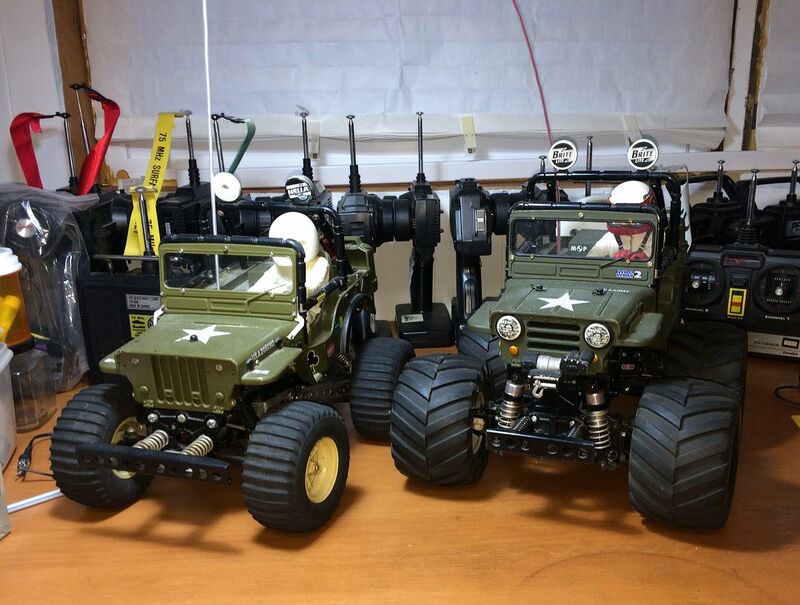 Really tough call, I'd have to say that it's probably a three way tie between my original Monster Beetle, the Bigwig and my Axial Scx10ii. 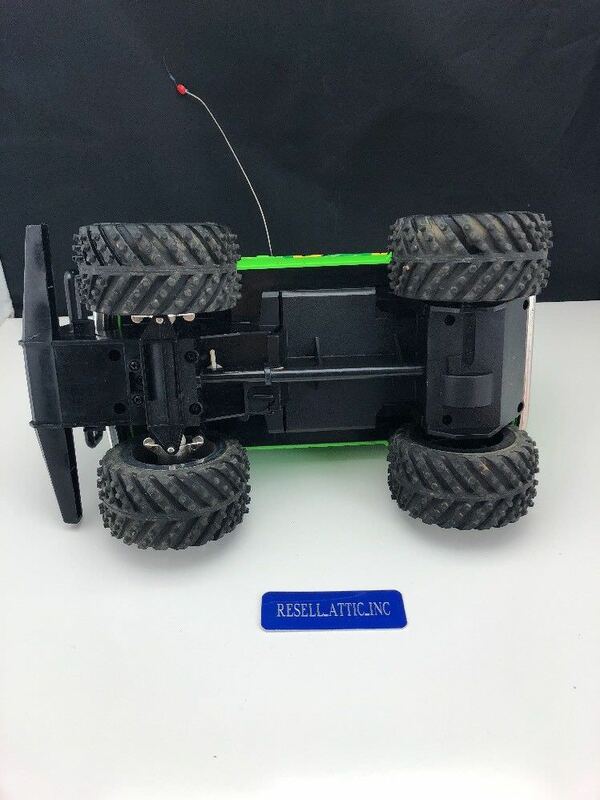 Out of the three the Axial gets the most use but the Monster Beetle never fails to make me smile whenever I look at it or drive it. Right now, my Hotshot. I'm sure that will change as my collection increases but I just can't help but smile when I see it. 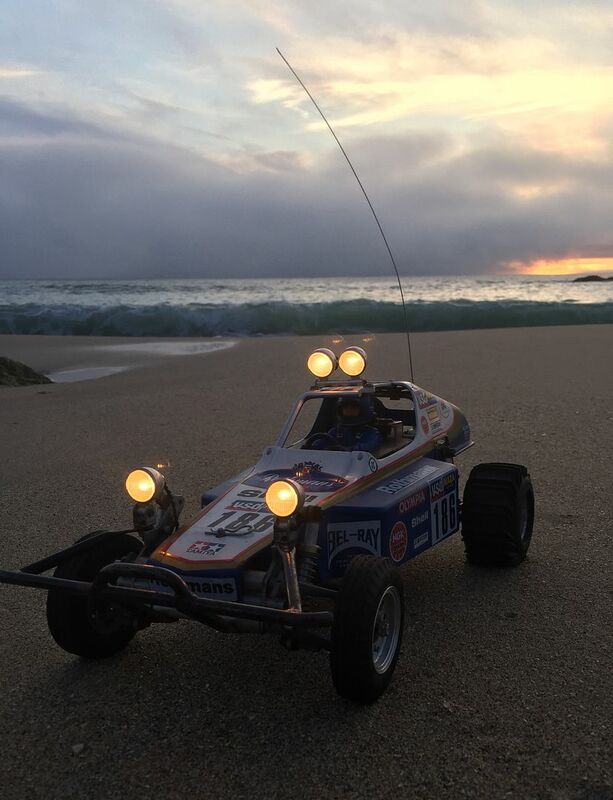 If ever there was a place for overpowered vintage or rerelease buggies then it's the beach! The one place I can give my brushless Grasshopper badword and still keep it the right way up. Shame I didn't realise that till after I wrecked the shell lol. That thing looks in its element. I'd have to have a good think about my favourite hobby grade. I've only been back in the hobby about 18 months and never had a hobby grade as a kid, it's hard to choose. My favourite toy grade is a no brainer though. Radio Shack/Tandy Jumbo Van all the way! 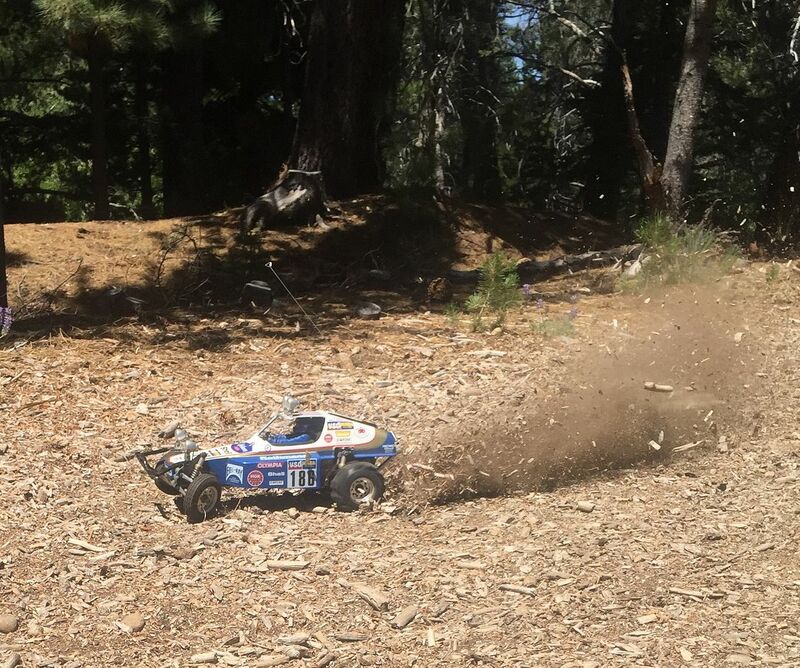 It was the last RC I had until 2016 and I loved it. 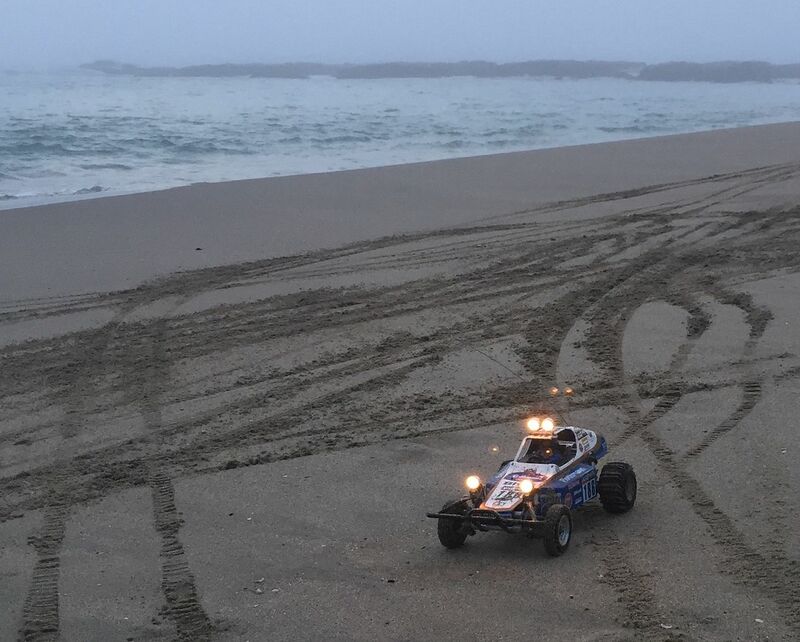 It was such a step up from any RC I had before. 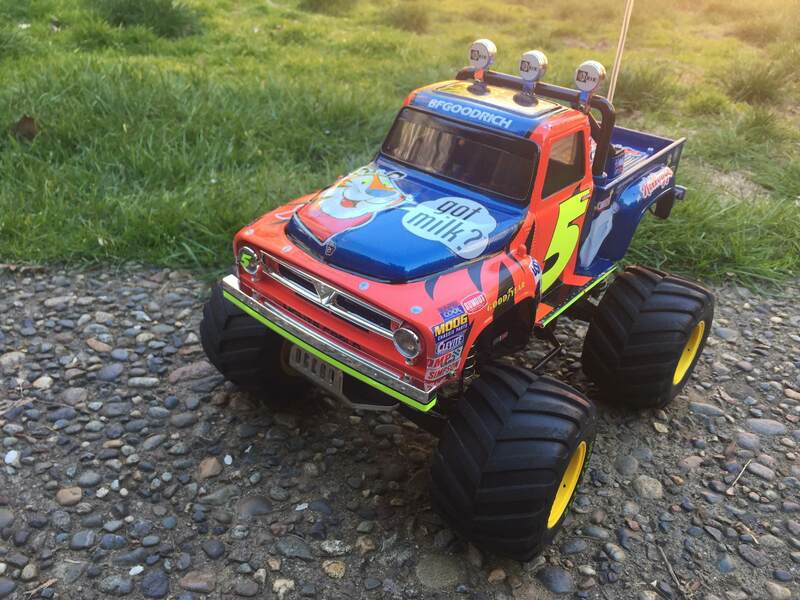 It wasn't even a high end toy grade with DP controls or even suspension but it was so well made and what it could do, it did well. 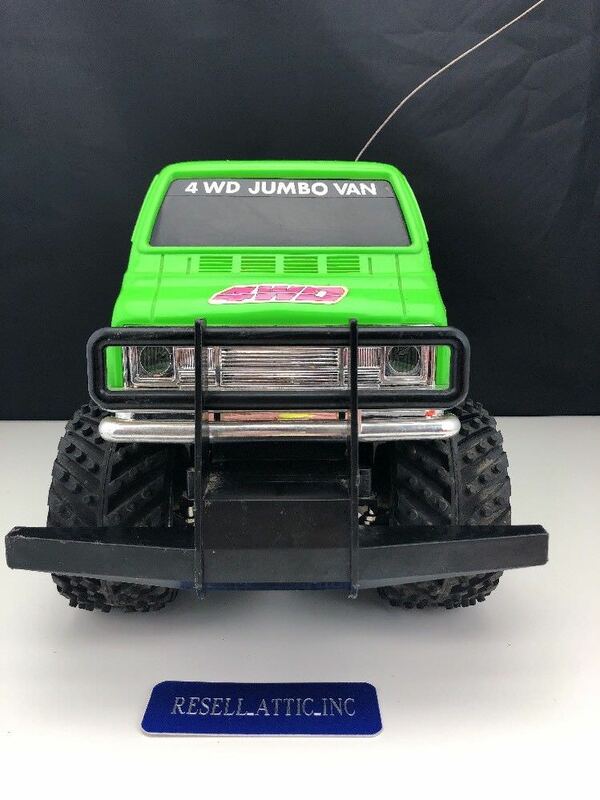 I loved the mini lunchbox looks and the twin gear ratios and shaft driven 4WD gave it really surprising off road ability, it was the first toy RC I had seen that could go over grass and climb steep hills etc. 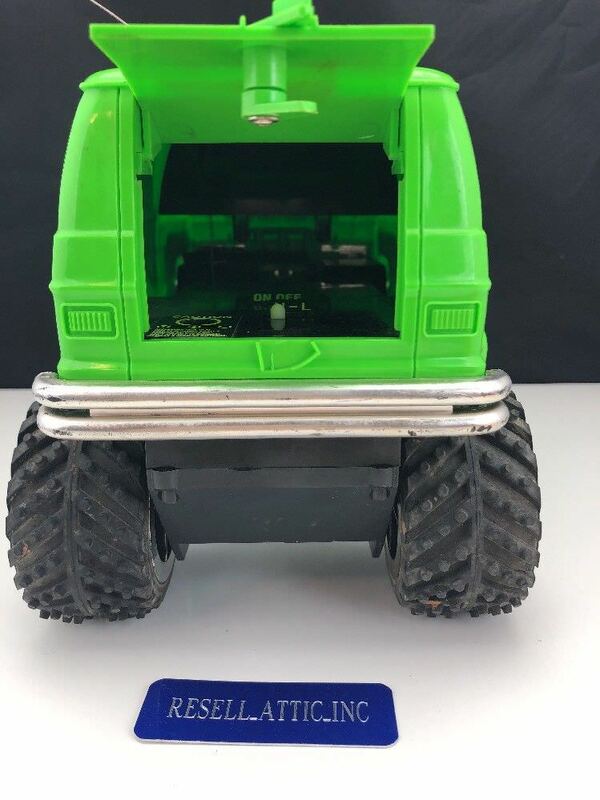 I loved the fact that the back opened too, firstly because the power switch, charge jack and gear selector are in there which is just cool but also of course you could put cargo in there and drive it around. I spent quite a while trying to find another as an adult but got one eventually. Hearing the whine of the transmission again after so long gave me goosebumps! It's every bit as well made as I remembered, it even has metal steering knuckles! 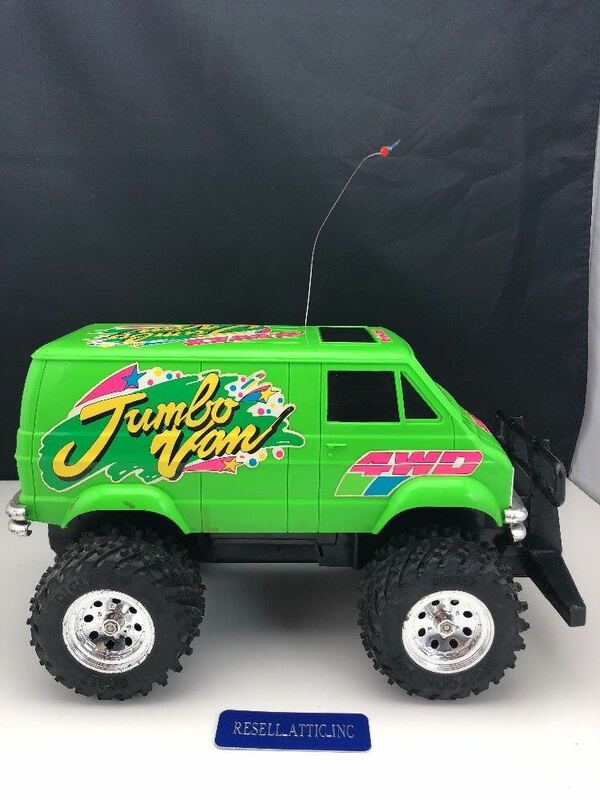 I have loads of toy grades from the "golden age" some modded and some standard but if I could only keep one it would be the Jumbo van every time. Thank god for 2500mah Eneloops though. No more waiting 8 hours for my 650mah Radioshack Enercells to charge so I could get 8 minutes run time! I nabbed these photos from ebay but mine looks exactly the same. For me, it its my F103, as it stops me from becoming a hermit. I am quite a private person, with few contacts outside of work and no social life to speak of. I tend to stay in a lot more than I should. However my F103 really only comes into its own on a track, so it forces me to go out and race at a club where I interact with other humans. I think this hobby tends to attract this type of person....that type being someone who is an introverted thinker and stuck in their heads most of the time. 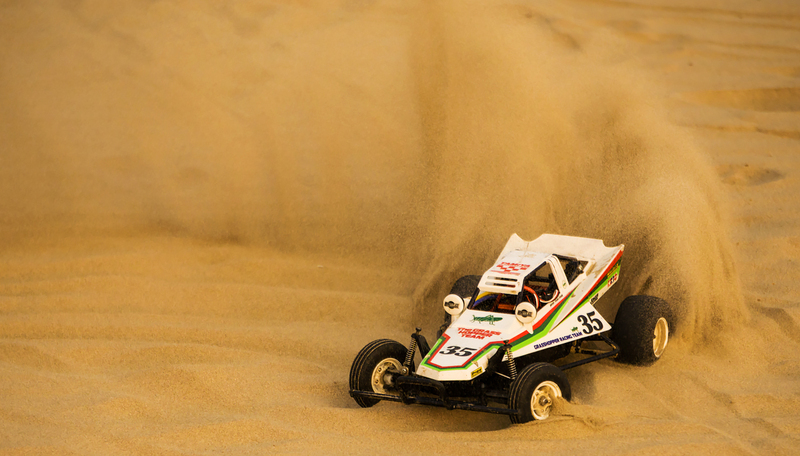 Enjoy building more than bashing, but do enjoy racing as the tuning aspect for me is appealing. Tough call. For the past 15 years, I've grown fond of the Hot Shot series, the Super Shot being my favorite. As a kid I thought the Avante and Egress were tops. The Clod Buster, Wild Willy, Monster Beetle and Lunch Box were my favorites when I first approached the hobby as a youngster. 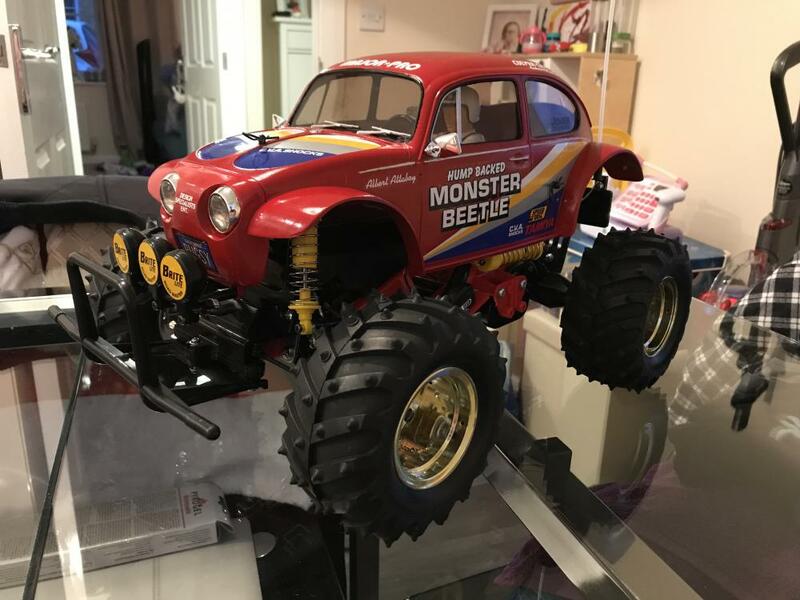 The first sight of a Monster Beetle on a hobby shop shelf is what hooked me on Tamiya though. 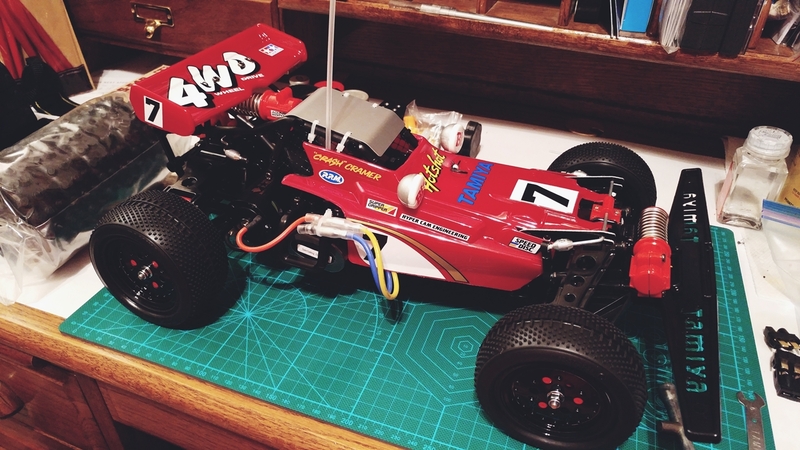 I fixated on Tamiya after that and down the rabbit hole I went. So, I guess out of honor, love and respect, my overall favorite is the Monster Beetle.